As stated in a recent report, annual mobile app downloads crossed 205 billion in 2018. If you are a fast growing business and you don’t have an app, are you even a fast growing business? That line is more true than harsh. 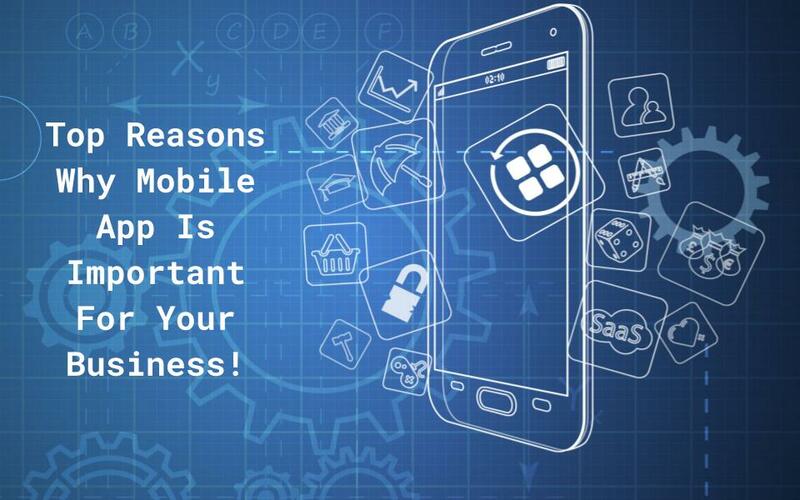 In the age where people witness millions of mobile apps developed annually, no business can survive without a solid application. Be it a corner saloon with an ill-organized appointment system, a gift store seeking more customers, or a food joint looking for a well-managed delivery system, every business needs an app in some manner. A business.com study says – “Nearly 30% of people prefer to bring their phones over their wallets when shopping.” Also, in a recent survey conducted on people with smartphones, 66% candidates believed that online payment apps will replace traditional payment methods like cash and cards by 2020. Apps are not only great for getting more conversions, but they are also very helpful for marketing. You can send all the latest updates and offers directly to the notification bar by push notifications. Yes, nowadays, browsers can do that too by asking the user to allow sending push notifications. But it is also true that not many people click on ‘agree’ when a website asks for permission for sending push notifications. This awesome feature is much more easy-going with apps than websites. By 2020, there will be around 3 billion smartphone users worldwide (according to Statista reports). To be frank, the mobile version of a website does not provide same user experience as the desktop one. Apps are way more user-friendly and provide better user satisfaction. So why would anyone want to waste money on mobile websites? Similarly, if we talk about user engagement, it can do wonders for improving any business. Apps can make user engagement easier by simply providing a notification panel and a 24*7 helpdesk. This way, your customers can reach you whenever they want. Internet users spend 90% of their time on mobile apps and 10% on the web. So by getting a business application, you are open to a larger audience compared to websites and your chances of being successful are higher too. Nobody can promise that an app can fully transform your business. But your app can help your business to interact better with your customers, create a loyal consumer base, and improve your brand image. That’s not it. Apps can make your business visible to your audience all the time. A study report by Reuters claims that- “Mobile point-of-sale revenue worldwide is expected to touch $50 billion in 2021”. So this is your time to be a part of the age of applications and take your business to new heights.